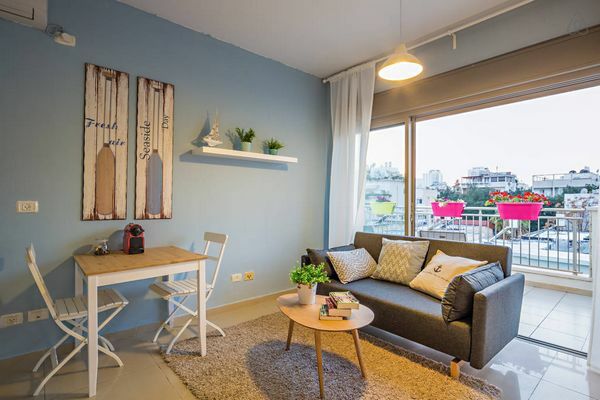 Sweet Mini Penthouse apartment to rent in a wonderful inner city location, for those of you who love to be amid the hustle & bustle of Tel Aviv shopping. 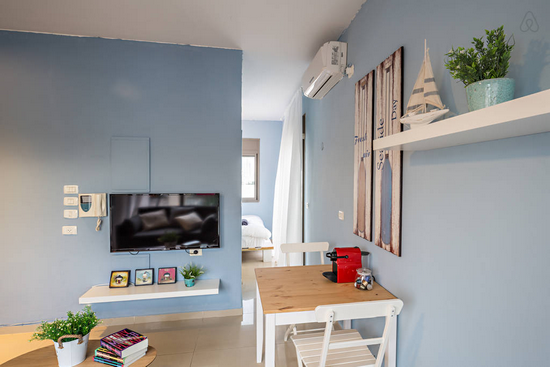 In very close proximity to Dizengoff Street and the shopping Center but situated on a one way quiet side street, you will have a problem to exhaust all the options you have for coffee, lunch and dinner!. Plus it is only a short pleasant stroll to the beach. 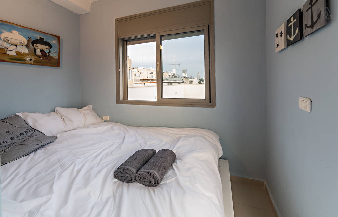 This sweetly furnished penthouse boasts an amazing four directional 90 square meter balcony, large enough to sun lounge on , barbeque on when you wish to turn your hand at some home cooking or to just relax on whilst enjoy the fabulous all round view!. 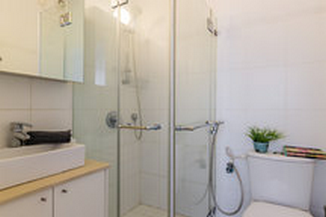 It has a modern bathroom including all the amenities you would expect from a high quality apartment. Importantly, it has a private elevator entrance to ensure your security during your stay. Accomodating up to four persons comfortably it is suitable for a couple or family with a penchant for in town living ! 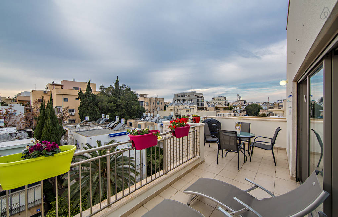 Balcony: 90 square meters , four direction view terrace.